This report looks at how much the Treasury’s Value for Money savings programme has improved value for money across government. The programme aims to achieve government-wide annual savings of £35 billion from 2008-09 to 2010-11. "Public confidence in reported savings is undermined where they do not stand up to external scrutiny. The proportion which do not fully meet the Comprehensive Spending Review criteria is evidence both that the programme was not well enough understood across government and that quality control within departments was not good enough. "Few of the savings made under the programme represent major departures from previous practice. The scale of savings needed in the current financial situation means that departments will have to think more radically about how to reduce costs and how to sustain them in the longer term." The National Audit Office has today reported on how much the Treasury’s Value for Money savings programme has improved value for money across government. The programme aims to achieve government-wide annual savings of £35 billion from 2008-09 to 2010-11. Today’s report concludes that the Treasury’s design addressed some weaknesses in earlier savings programmes, and departments have made some progress in their management of their programmes compared with previous spending periods. Nevertheless, departments’ planned programmes did not contain sufficient contingency and it is unlikely that departments will achieve the government-wide target of £35 billion of annual savings, which fully meet the Comprehensive Spending Review criteria, in 2010-11. To date the NAO has reviewed reported savings amounting to some £2.8 billion from five major departments which are to deliver around 40 per cent of the government-wide total. The NAO has concluded that 38 per cent fairly represented sustainable savings (green); 44 per cent may represent savings but with some uncertainty (amber); and 18 per cent do not represent, or significantly overstate, savings (red). Common problems include the use of unsuitable baselines for the calculation of savings, a lack of transparency over arms-length bodies’ reporting processes, and difficulties in demonstrating links between savings and performance. In Autumn 2009, HMRC reported it had achieved savings of some £300 million. The NAO examined reported savings in staffing, estates, IT and procurement which totalled £288 million a year, some 90 per cent of the reported total savings. The NAO rated 42 per cent (£121 million) as green, 45 per cent (£129 million) as amber and 13 per cent (£38 million) as red. In Autumn 2009, the Department for Education (formerly the Department for Children, Schools and Families) reported it had achieved savings of some £1.017 billion between 2007 and 2009. The NAO examined reported savings, mainly in the schools sector, which totalled £591 million, some 58 per cent of the reported total savings. The NAO rated 9 per cent (£55 million) as green, 89 per cent (£523 million) as amber and 2 per cent (£13 million) as red. By October 2009, the Ministry of Defence had reported new savings of £944 million. 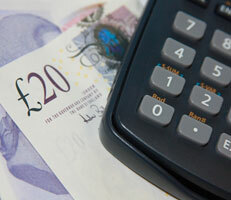 The NAO examined £712 million, some 75 per cent of the savings reported. It rated 42 per cent (£298 million) as green, 45 per cent (£318 million) as amber and 14 per cent (£96 million) as red.